Opinion | By Arthur M. M. Katabalwa | British Airways — The Worlds’ Favorite Airline Throws In The Towel At Entebbe. Isn’t it surprising therefore that British Airways is just “concluding” that their services are not “commercially viable”? In my view, BAs’ services to Entebbe were not “viable” on any level whatsoever. The travelling public in Uganda had started getting increasingly frustrated with the services that were being offered by the airline. I have on occasion used BA between The UK and Uganda. And I have used the airline on its trans Atlantic routes and the services were woefully diabolical on the Entebbe route. Services between Europe and The USA are most of the times served by new aircraft. And if they are not particularly new, they are in good condition. However, the airline on occasion scheduled a clapped out Boeing 757 to head to Entebbe. One of those with TV screens that are stowed away overhead. It is first class from the USA to London and then from London it was cattle class. On the other hand, its competitors have been progressively introducing new aircraft. Take KLM for example. Their airbus aircraft hardly make a squeak out of Entebbe and the flights are smooth all the way back to Amsterdam. Once, the KLM aircraft I used out of Entebbe had mood sensitive lighting to handle the effects of jet lag as it was a night flight. BA? Just switch the lights off as you fly over Juba on the way to Heathrow! Other airlines like Qatar, Emirates and Kenya Airways are also very good. Kenya Airways will lay on a Boeing 777 from Nairobi to London which is a real competitor. Emirates to Dubai almost has no restrictions on drinks. Change over airports are also crucial. Ugandans got tired of the transit visas at Heathrow. To compound that, in comparison to other airports, Heathrow is now found wanting. Although Dubai is like a long corridor, waiting there to connect to other airports is worthwhile. If the wait is over a certain length, you will be fed. Most times, one will wait in the know that they are going to lay on the double decker A380 or a new Boeing 777. And Emirates will also fly you to more than one destination say in the UK. So, where one may be wanting to travel to Birmingham, why fly BA when you know Emirates will fly there directly often at a cheaper price? It is sad that BA is suspending their flights from Entebbe but for many, this is a situation that has been long overdue. They may call themselves “The Worlds’ Favorite Airline” but that doesn’t translate in the services they are offering. 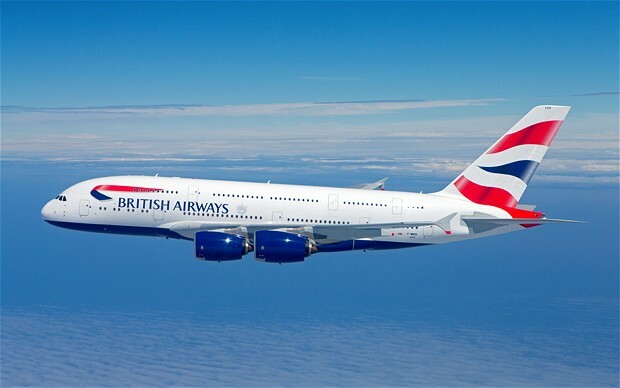 The only advantage that BA had over all the other rivals was that it was the only direct flight to London. But at their prices, their poor aircraft and the competition from other airlines, this was no longer sustainable. Besides, Ugandans are not only flying to London in the UK anymore. I can fly SN Brussels from Entebbe to Bristol airport at an affordable price rather than fly to Heathrow then pay more money to Bristol by coach or train. I can fly to Manchester Airport from Entebbe using Turkish Airlines. I can fly to New Castle from Entebbe using Emirates. So why BA?